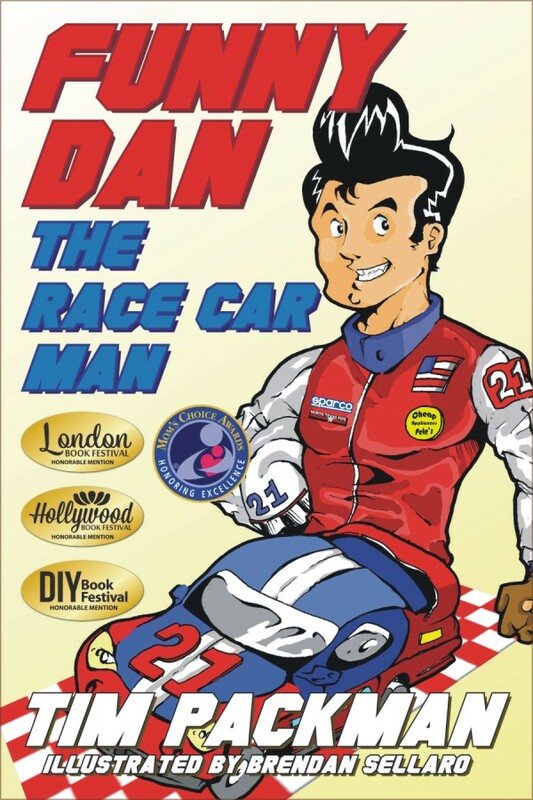 Funny Dan the Race Car Man is a fun-loving race car driver who is motivated by the desire to enjoy what he does. He enjoys working with his crew and just having fun in the sport he loves so much. He may not be first on race day, but he’s a winner to those around him every day. Author Tim Packman spins an engaging story about teamwork and competition which is brought to life through the eye catching illustrations by Brendan Sellaro. Included is a glossary of racing terms, so get ready to ‘start your engines’ and join Funny Dan in this exciting race car adventure! Look for Funny Dan’s Activity Book on this site, too!! The lessons in Tim Packman’s colorful and action packed novella are limitless. 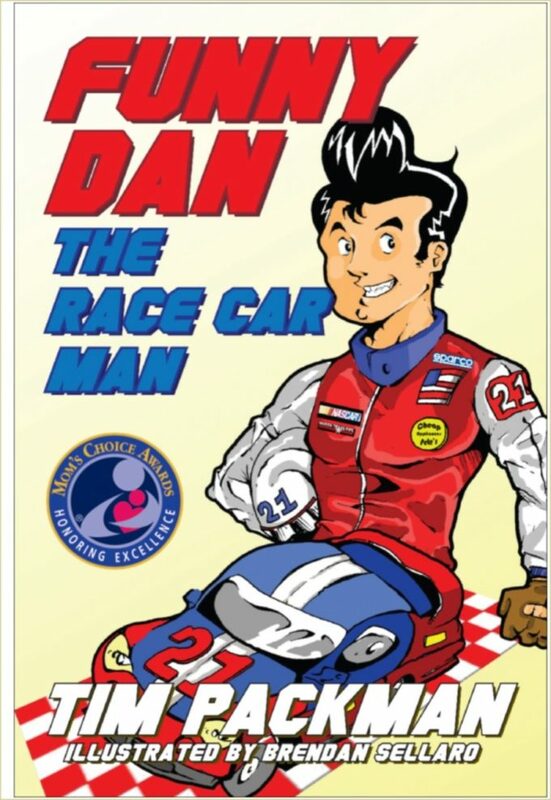 Whether you are a coach or teacher, “Funny Dan the Race Car Man” is an extremely useful and versatile tool for instruction. Colorful language is easily identifiable, as are the key lessons of positive sportsmanship and teamwork. Tim Packman has created an interesting story about captivating racing personalities who chase victory but get lost in having too much fun along the way. It’s a story about drivers doing things a kid can understand and which comes with a lesson for all of us. The book’s artwork is every bit as good as the story itself. I liked it even though I’m only a kid at heart. 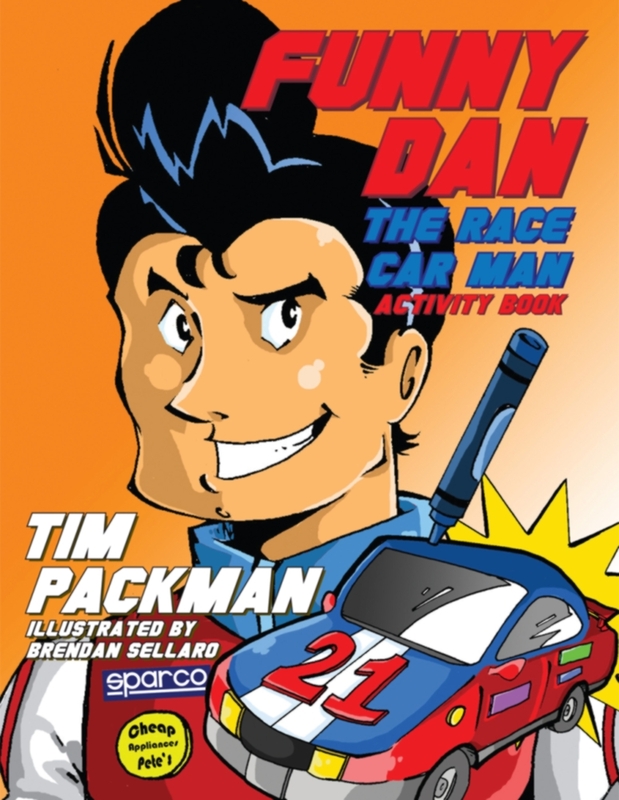 “Funny Dan The Race Car Man” is a very enjoyable book. I was not a race car man, woman or fan, but now this fun book has turned me into a believer. I loved the names of the drivers like Gentle Jim, Cheap Pete, Evil Eddie, Speedy Scott, and Funny Dan. That drew me in like a magnet and I found myself laughing out loud. I love how a professional can describe his topic using a language modified for a child’s understanding. Learning the racing terms at the end of the book is also a wonderful idea for the child to ponder. Raising three boys myself, and knowing that boys love to go FAST, and that love of cars is always on their minds, I say I loved the book. This book would make the perfect gift for the young reader, as it teaches that hard work, love, and determination will pay off whether you come in first place or not. You just finish the race and you will be a winner. Learning the antics of this book will keep your child safe if he chooses to become a daredevil race car lover. The book also explains how a child can get into racing. “The one thing you have to do-to be the best at anything in life is to read, read and read some more to learn all you can. You will be well-educated on what you want to do and smarter when you start to work in racing. To be a better person always remember the three phrases that will always make you a better person: Please, Thank You, and I’m Sorry,” as stated in the book. The comic like colorful illustrations complemented the story very nicely. All in all this book is a two thumbs up!